Today "college" is a game. College is a bigger game than the Super Bowl. College is a money game. If you don't know how to play the game, you lose. The colleges know how to play the game - families don’t. Colleges invented the game and the rules, and every year families play along. Every year, students and their parents spend countless hours going through the stressful college admissions process with the hope of getting into top colleges. Many families worry more about taking the SAT to get into a top-ranked school than what that school will cost the family to graduate the student. Who said that a particular school is a top-ranked college... U.S. News & World Report? Each year colleges compete heavily for students with the best GPAs and ACT/SAT scores to increase their U.S. News & World Report ranking. These colleges will spend millions of dollars on recruiting expenses and tuition discounts to attract these top students. Did you ever wonder why a college picks a particular student for admissions? To answer that question, all you need to do is read the article that Forbes magazine did in 2014 on college enrollment management - The Invisible Force Behind College Admissions. Every high school parent should read this article before they begin the admissions process with their student. Nothing has changed in five years. I must warn you though, please don’t be insulted, or angry that colleges don’t inform you about these methods of admissions. Merely think of college as a game, a money game, and each college is your opponent. Colleges hire enrollment managers to award the minimum amount of money to recruit specific students to their school. This tactic is called Financial Aid Leveraging, and the intent is to extract as much money as possible from each entering class. Enrollment managers “leverage” their financial aid with Tuition Discounts. Tuition discounts are used to weed out students that require significant financial assistance to attend and give it to families that have quality students that can afford to pay. Once the enrollment managers calculate the amount of “tuition discount” they want to use to “leverage” (recruit) a particular student to enroll in their college, they create the financial aid award letter. This phenomenon is called "preferential packaging." How will you pay for it once you get in college? How can you be sure you will graduate in only four years? How can you be sure you will get a job in your desired field? College is an expensive investment, and families need to treat it that way. Today parents across the country continue to pay for college without a financial game plan. College is a system. And understanding how that college system works can help your family avoid costly mistakes and put the student in the right college for the lowest possible cost. A big part of that family financial game plan is understanding exactly how the college financial aid system works. It is a system - the most convoluted system I’ve ever witnessed. College funding rules and regulations change each year, and the FAFSA and CSS Profile are the most complex financial applications on the face of the planet. The IRS system is easier to navigate and understand. Colleges begin to distribute their final financial aid award letters to families this month. Some will be relatively easy to understand and others, not so much. One family had an EFC of $5,950 reported on their Student Aid Report and an EFC of $19,075 reported on a private college financial aid award letter. Their question was, “Why the difference of $13,000 plus?" The answer seems simple. The college did not want to recruit their student because she was in the bottom 25% of the incoming class. This was not the case. The student was in the top 25% of the class. Further analysis revealed that the family lived in California and had over $300,000 in home equity. You see, families that live in California are treated the same in the financial aid formula as families that live in West Virginia, with much lower home values. Basically, under the “professional judgment” rule, the college enrollment management department can do whatever they want. They know that home equity is tax-free money that can be borrowed instead of parent loans, so they add home equity into their net college price formula. Colleges NEVER tell the family this, and the financial aid award letter merely shows a shortfall in aid of $13,000 plus, with no explanation. Did I mention that college is a game? 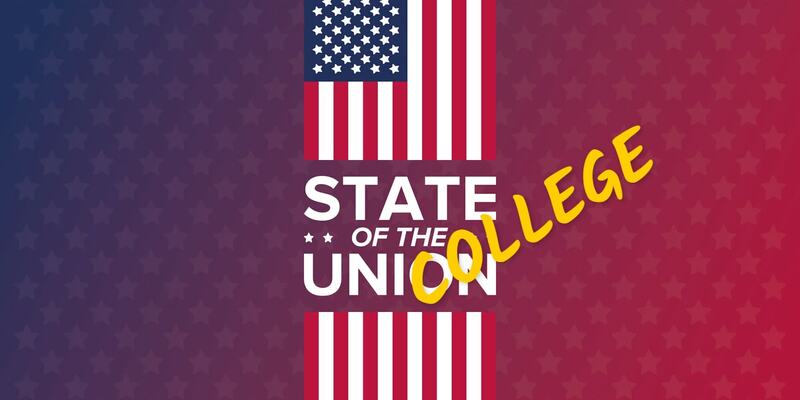 The College State of the Union is such: there is good news and bad news. The good news is the net price of college today is falling. Not much, but it’s falling. My IPEDS data analysis on college tuition shows that the net cost between 2014 and 2016 (the government statistics are two years in arrears - go figure) fell about $200. This statistic makes sense as the college industry is currently under a lot of pressure to lower costs and student loans. Every month you read about a small college somewhere that has gone out of business. The bad news is as long as families worry more about getting admitted into a top-ranked school than what that school will cost the family to graduate the student, nothing much will ever change. College selection - select colleges that match with #1 and #2. I know, I know - how can a 17-year-old possible identify a career direction when there are 40-year-olds that still have not “found themselves” and are unhappy with their current position. Such is the current state of the college industry today. Colleges are so expensive today that they are giving more grants and scholarships to wealthy families than those that need the money. Colleges will use a $20,000 “tuition discount” to entice good students to their school from families that would typically pay full price. But wealthy prospects and clients have no idea how to get this money. That’s where a CCFS® can use their college funding knowledge, training, and the college’s inside information to help families cut the cost of college. Then can show families how to use tax, cash flow, and financial strategies to ultimately recover the entire balance they paid for college by the time they retire. Families WANT help with college, but they NEED proper financial planning.